We only deal with reputable suppliers well experienced in providing high quality workmanship and materials. 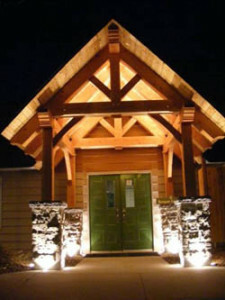 Timber frame is a unique accent to any design. 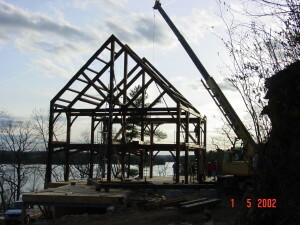 How do we get started on our timber frame home? It’s as easy as contacting us directly at (613) 475-5999. 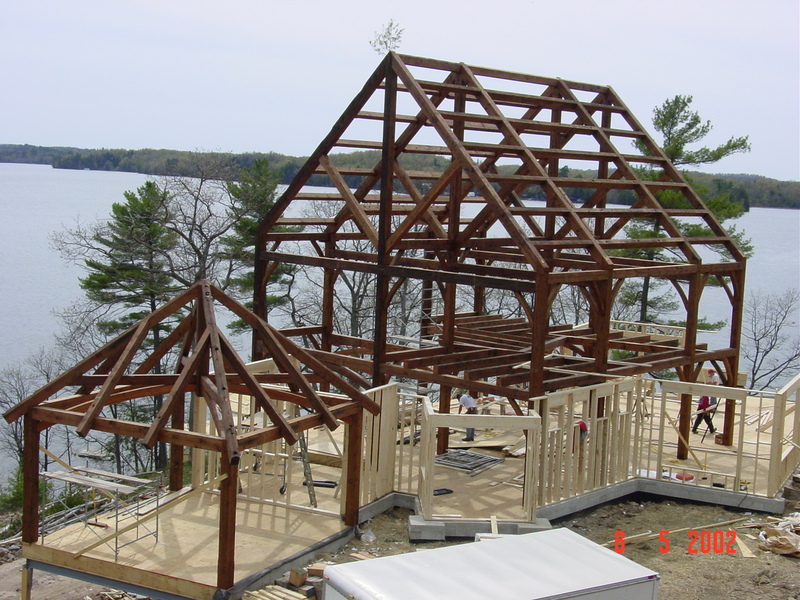 We offer in-house qualified design services for the design and development of the timber frame components for your home. 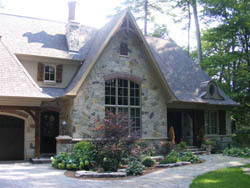 We also can provide custom architectural design to complement the timber frame in your home. We strongly encourage the use of our design services if you have designed your own home. This will provide you with a professional to ensure your ideas comply with code regulations in your area. I am already working with an architect on my design. Can you work with them? We would like to team with your architect (or designer) as soon as possible to clarify the unique requirements of a timber frame structure. Most designs can be adapted to suit timber framing, although this may result in some small adjustments to your design. Will your frame be engineered? Yes. 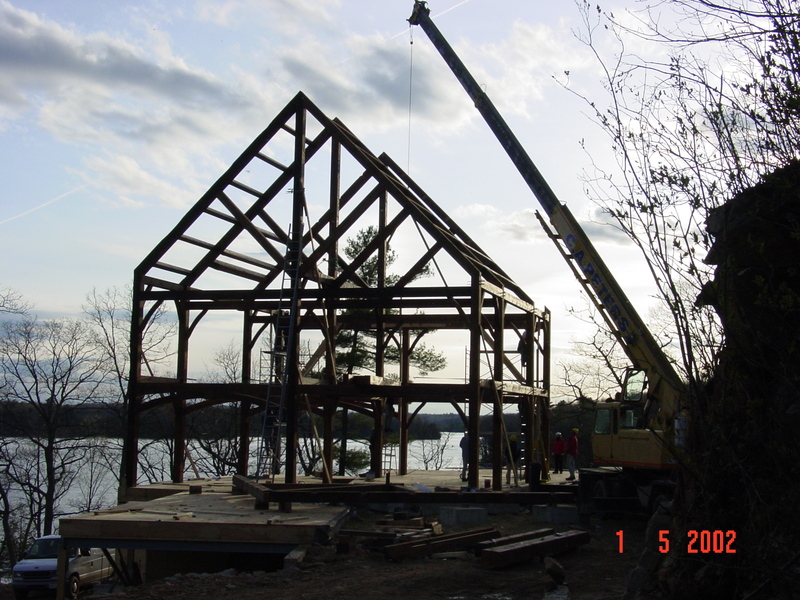 We work with an Ontario registered engineer who is experienced in timber frame design. For projects outside of Ontario, we review our design with an engineering firm registered in the state or province you are building in. What wood species do your offer? 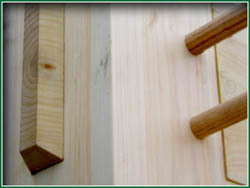 We offer Eastern White Pine and Douglas Fir frames. We will try to accomodate requests for other species, if possible. For clients looking for more enviromentally sound options, we also offer salvaged and FSC-certified timbers. 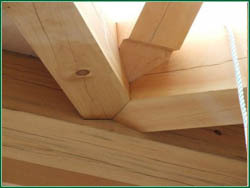 Is post and beam the same as timber frame? No. 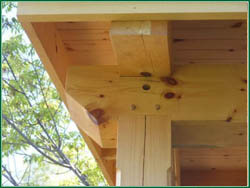 Post and beam is typically similar-sized members fastened together with metal hardware - typically bolts. 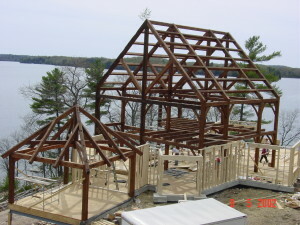 The resulting frame has a lighter look than timber frame. 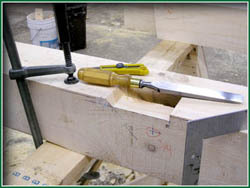 Timber framing is traditional mortise and tenon joinery secured with oak pegs. Stresskin panels are a high density, manufactured foam panel designed with timber frames in mind. They consist of two layers of OSB (Oriented Strand Board) sandwiching a foam interior. These panels provide your timber frame home with a high level of insulation and can be pre-cut for windows and doors to minimize onsite installation time. Although many people go into building their home with the intention of acting as their own contractor, there are many factors to consider before making that decision. First, you should consider the amount of time required. Can you take the time to be available at a moment’s notice for several months to handle changes to the schedule? Are you comfortable and current with the building rules and regulations? If you have any doubts at all, it may be best to hire a professional. Would it be possible to visit your shop? We would be pleased to have you visit our shop. Please call (613) 475-5999 for a 'no obligation' consultation. We would be pleased to answer all of your questions and help you make informed decisions regarding your new home. Do you offer machine-cut timber frames? No. Len Kuipers Homes offers hand-crafted timber frames. And by doing so, can include many custom features and embellishments not possible with machine-cut frames for a truly unique and tailored look. At Len Kuipers Homes …..
We Believe... when expert craftsmanship is combined with exceptional design, the result is Quality. Len Kuipers Homes, an award-winning builder and home designer, looks forward to exceeding your expectations.